After 20 Years UKIP is seemingly More Harm Than Help! The behaviour of its Leadership their lack of OQ and failure to provide the guidance they were elected to provide leaves Britain at risk in what should be an open and shut demand to Leave-the-EU in a Referendum. Where is the Exit & Survival Strategy and the teams of trained UKIP members in a structure to provide widespread lobbying?! Sadly this is only a start – a magnificent effort on the part of Nikki Sinclaire but what a sad indictment of almost 20 years of UKIP that they have so spectacularly failed the EUroSceptic cause as they jollied and romped in the flesh pots of EUrope as grossly over p[aid puppets of the system with a few childish stunts and performing with all the wisdonm and alacrity of performing seals to get their rewards. By now if UKIP had EVER had leadership of ability with Officer Qualities and clear Officer Cadre they would have provided an Exit and survival strategy, with a fully trained team bringing the very clear message of how Britain and our peoples would be hugely Better Off Out rather than a few soundbites in a near empty so called Parliament listened to a by a statistical absence of people out of a population approaching 70 Million! Much was made of a second place gained by UKIP recently in a non event by election where John Cubitt laid claim to 1/3rd. of the vote which was indeed well done but that it reflected about 7% of the electorate in the ward at a time when UKIP could reasonably have been expected to reflect the EUroSceptic vote as reflected by The You Gov Poll commissioned by Nikki Sinclaire which was not 7% but 52% across the population and 66% of Tory voters in this a very Tory seat. Had UKIP had leadership with any OQ whatsoever rather than a propensity for apparent self inmdulgence and self enrichment with a reputation for decadence, theft, fraud, financial impropriety and corruption at least 60% could have been expected – thus actually almost double the percentage of the actual vote let alone the 7% reflected! Had UKIP not failed its core electorate in its core Region we would be well on our way to winning a referendum vote which will all too likely be lost and where almost all MPs will vote for the political gravy train at the cost of betrayal of the British peoples and our future – the lack of clear UKIP leadership, training and structure means there is absolutely no one to call Westminster to account for the up coming failure. Little doubt that UKIP will merely continue to squabble as they stuff each other and their pockets, displaying a public personna of nere do wells, thieves and low lifes, liars like Mick McGough, exploitation and hypocracy like Gerard Batten and a continued affiliation with extremists, racists, anti Jewish and anti homosexual advocates of violence as a political tool as they now do in The Pan EU Political EFD Party Grouping! 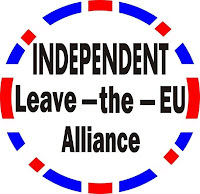 Little wonder that Nikki Sinclaire since being lied about and abused by UKIP leadership and being forced to campaign as an Independent MEP has achieved more in real terms at Westminster than all of UKIP put together in almost 20 years. Whether she succeeds in the long term is another issue but if UKIP members whole heartedly support her the next move could prove very convincing sadly UKIP leadership and their parasites are likely to continue in their role as useful idiots aiding The EU rather than working to get Britain Out. We will see imbeciles like Mick McGough wasting time in esoteric discussion as to the length of my pony tail and behaving like gutter snipes for lack of any intelligent ability – it is so much easier for fools to behave in cowardice as playground bullies. Just as the likes of Batten find themselves defined as racists – what part of Leave-the-EU is berating Islam, denigrating Russia and abusing one’s staff Batten? A question that seems all too likely to spill from The Employment Couyrts to the media at a time when it can most harm EUroScepticism and genuine UKIP supporters. We are well aware of Batten’s response to members when they sought his support in a measure to stop UKIP MEPs going native! Just as we are well aware of the nepotism practiced in his office and that of other UKIP MEPs. It seems that in the main by selecting MEPs on a corrupt basis of selection within the Party by the leadership tends to lead to the appointment of morally low grade individuals as they have been Boosted Up a corrupt process!